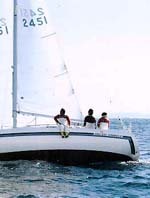 A great classical boat of the 9 metres class. Produces in Japan for many years. 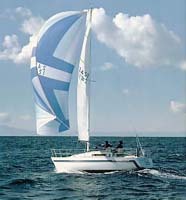 Intended to face the difficult seas which surround Japan. It has been perfected for years. 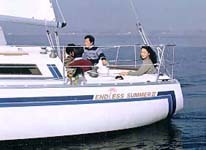 Well adapted to the breeze and to the beautiful weather of the Japanese coasts. 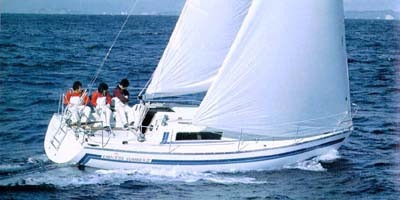 A good rudder allows to well steer the boat. The manoeuvres return all in the cockpit. 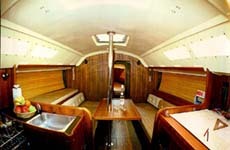 A crew cabin with 2 banquettes and 1high berth. 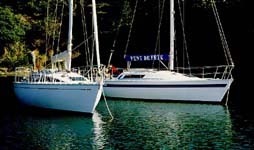 An aft berth for the navigators. 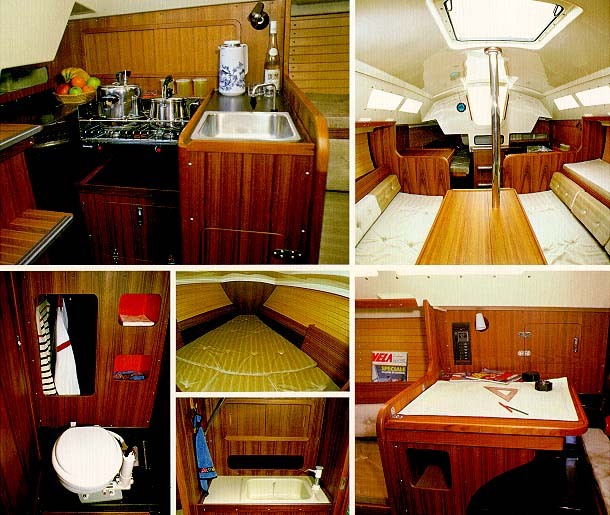 A kitchen in the companionway. 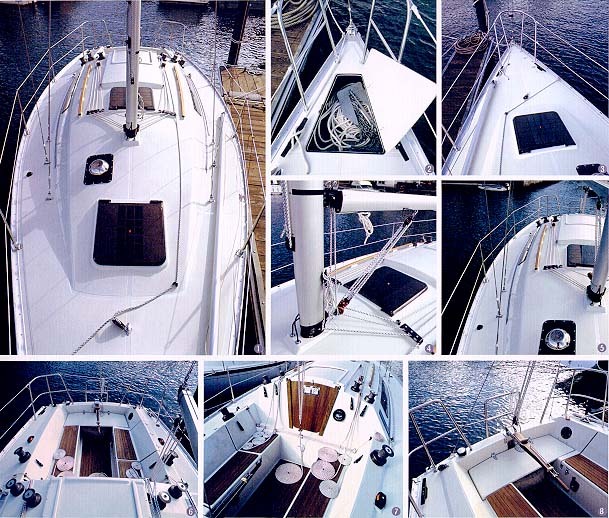 The boat is specially well finished. Deck in balsa sandwich dressed with a backing moulded. The hull receives a structured by big nervures backing moulded . It will not lose its shape thanks to 5 transverse partitions. 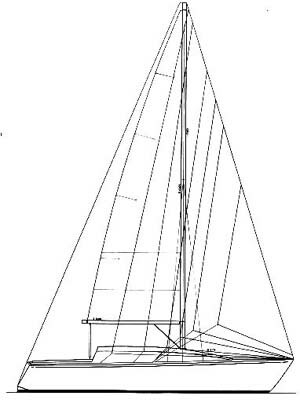 The mast is carried by a partition and a standion that take again the stresses of the shrouds. The fittings are hung on on the backing moulded.